CPChain is a new distributed infrastructure for next generation IoT. CPChain intends to build a fundamental data platform for IoT systems in combination with distributed storage, encryption computation and blockchain technologies, providing the whole process solution from data acquisition, storage, sharing to application. Security is one of CPChain’s main focuses, and Quantum Computers are a serious threat to the future of blockchain security. The keys that the world uses today are mainly the Public Private Key system. This form of key distribution has the potential to be hacked by Quantum Computers, which are just around the corner. Our mission to fully develop and optimize CPChain’s core technology and seek cooperation with partners to fulfill industrial landing has led to multiple discussions between CPChain and ArQit. 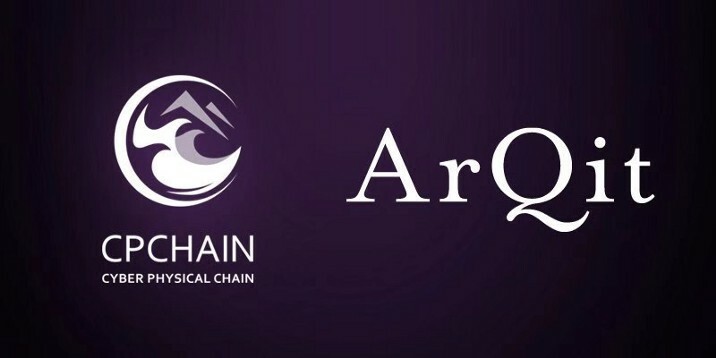 We are excited that CPChain has achieved cooperation with ArQit for future quantum resistance research. ArQit is a quantum resistant business eco‑system on an open source blockchain. Their goal is to help the blockchain community to flourish in a post-quantum environment. The CEO of ArQit, David Bestwick, is an astrophysicist and satellite engineer, and the former CTO of Avanti. Mr. Bestwick has over 30 years of experience in developing astrophysics related applications. The ArQit blockchain uses an open source enterprise ledger that is built to create quantum resistant distributed autonomous organizations for businesses and communities. Their ledger and quantum key distribution technology is the result of 3 years of development by a partnership of open source developer communities combined with corporate and scientific organizations worldwide. Currently, ArQit is working on an enterprise-level quantum resistant business eco‑system. ArQit has established the Post-Quantum Research Alliance with over 100 institutions worldwide, including: European Space Agency (ESA), QinetiQ Space, NEO, and of course, CPChain. The global satellite system uses Quantum Key Distribution (QKD, or S-QKD). QKD uses the quantum properties of photons to create unique keys that can be shared between two parties in laser transmissions from a satellite. This is unhackable. These keys are embedded into the ArQit blockchain at Nodes, and also used to create shared secrets that can be used to safely onboard new users to the system. 2. Promote the research of quantum keys working in tandem with post quantum algorithms for encryption and signature. In the future, CPChain will work closely with ArQit to promote, create and fund research into the necessary security techniques that will be needed to make blockchain technology resilient to attacks from Quantum Computers.